Preparing for the wedding season but unsure of what jewellery pieces you should select? Allow us to guide you. In today’s post, we are going to share with you our top five jewellery pieces you must consider wearing on your special day. 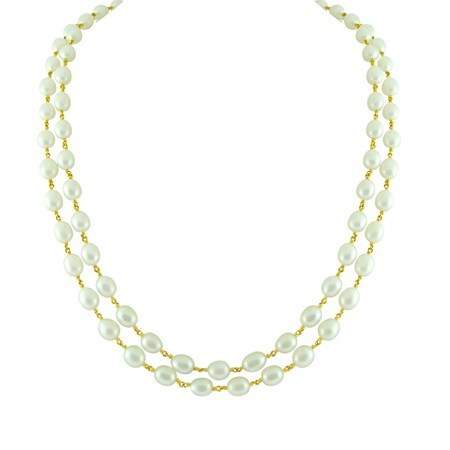 If you are searching for the perfect necklace to wear on your wedding day, try the dual string pearl gold chain. Simple, elegant and stylish, this piece of jewellery is bound to make you look beautiful. The best part is that despite looking exquisite, this pearl chain is light in weight and easy to wear. Buy this piece here. 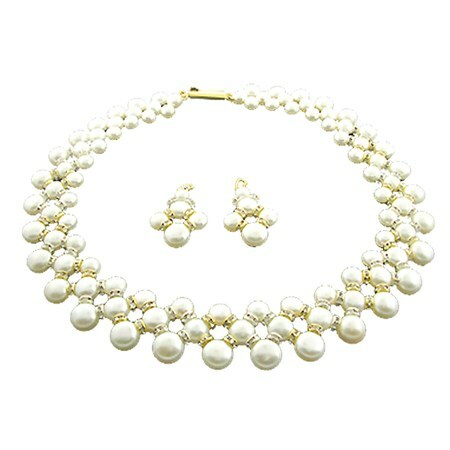 The designer Gold Charlotte Necklace set is luxurious and stylish, making it perfect for wedding celebrations. From Sangeet to Mehndi ceremony, this set is versatile and is bound to add oomph to your overall look. Purchase this piece here. Pearls are classic, this we know. Every bride deserves her own string of pearls on her wedding day. You can pair this stunning moti set with your evening gown or even wear it on your special day; it’s versatility will surprise you. 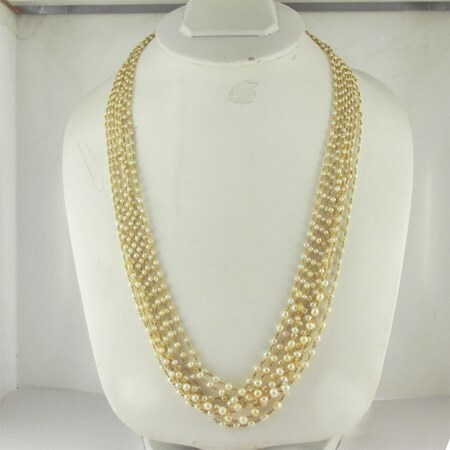 This 18 inch long pearl necklace is simple and beautiful, and sometimes, elegance lies in simplicity. Shop for this piece here. Classy and beautiful, we bet this is the pearl chain you’ve been looking for. This piece, weighing 28gms, is made of delicate pearls strung together by a stunning gold chain. This chain will bring old Bollywood glamour to any outfit with which you choose to wear it. Click here to buy this piece. Delicate and substantial at the same time, these gold princess earrings are designed to add elegance and beauty to your outfit. 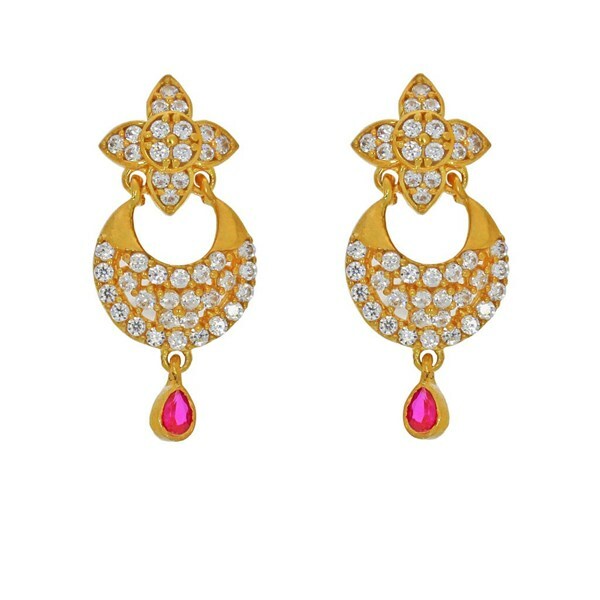 Set in 22k gold and cubic zircon, this piece is studded with semi-precious stones and looks effortlessly gorgeous. Get your hands on this piece today. Shop for this piece here.